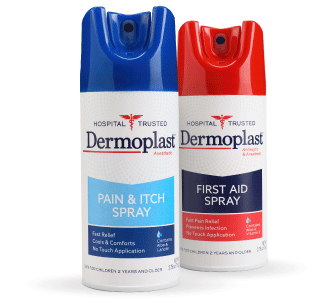 You may have learned about Dermoplast Pain & Itch Spray in the hospital, but it also can offer safe, effective relief from the pain and itching of minor cuts, minor burns, scrapes, sunburn, minor skin irritations and insect bites to your family. 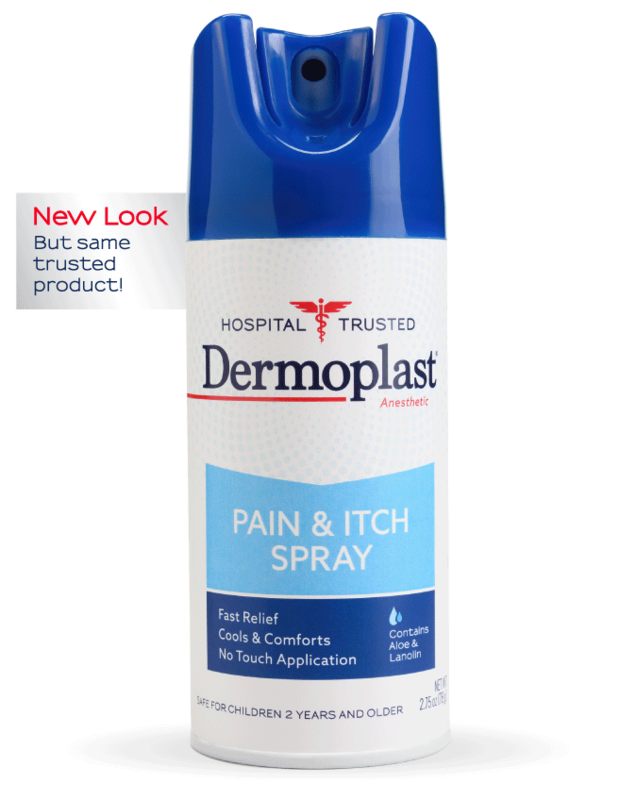 Designed with maximum strength pain relief and “no-touch” spray application, Dermoplast provides soothing relief to tender areas. It’s no wonder that it has been a trusted partner of doctors and nurses for more than 50 years. With Dermoplast, you’re prepared to care for your family. Always use as directed. Be sure to follow any instructions provided by your doctor or nurse. To use this product, hold can 6 to 12 inches from affected area. Direct spray nozzle towards skin and press the button to activate spray.